Your organics are your assets and CCI develops systems that allow you to extract the value for your benefit by implementing an on-site scale solution. 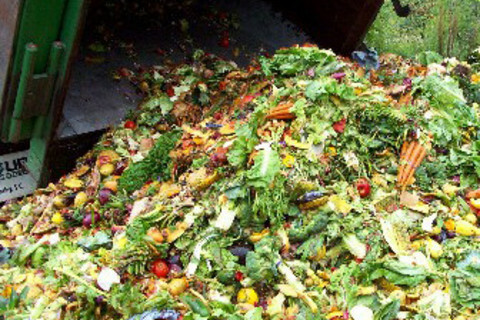 Too many, organic waste is seen as an environmental problem. At CCI we also see it as an economic loss. With close to 40% of our farm-to-fork supply chain being lost, there is an un-tapped opportunity to reclaim these assets for economic gain. Food processors, grocery, food services, retail developments, farms, universities, hospitals – the list is long – that generate or have access to pre-consumer, post consumer, or agricultural organics, including in combination, can benefit. The annual capacity ranges from 500 to 3,500 metric tonnes. The business case includes revenue from energy sales, the elimination of current practice costs, and internal energy consumption off-sets. Transportation fuels, or an electricity and heat combination can be produced. The added value is reducing your carbon footprint. Methane GHG’s produced by decaying organics is now understood to be 84 times greater impact than carbon in the first 20 years. Further reductions are achieved through the displacement of fossil fuels. This value is accrued from a shift in thinking and understanding that your organics are resources that can be transformed on-site into energy. The QUBE solution family can be deployed on-site to convert a broad range of organic assets into energy. From farmers, to food processors, and right through the food supply chain. High density populations such as universities/colleges, retail malls, and office complexes have the opportunity to develop diversion programs that support sustainability and corporate social responsibility goals. Every QUBE solution is built on a core design which is then adapted to the feedstock, end use, and site specific needs. All required components are quick connect and the system can be insulated and sheltered to satisfy cold weather conditions. The diagram below depicts the solution and choices that link and build on the QUBE solution platform. 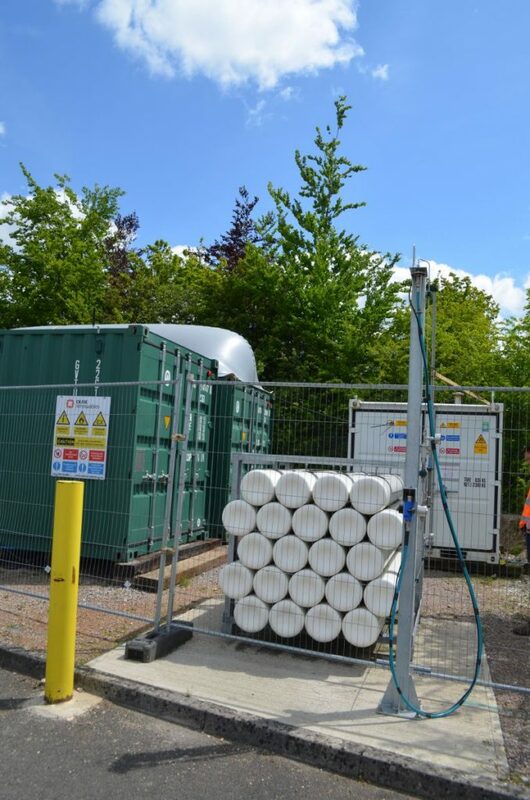 The QUBE technology was originally designed by Qube Renewables Ltd. in response to a brief from the UK Ministry of Defence (MOD) to explore ways that waste, including human sewage, could be utilized to provide energy in the MOD forward operating bases. The technology has since been enhanced and commercialized for a variety of applications that transform organics into beneficial use products. The QUBE solution has an open architecture that allows for an array of ancillary equipment options for feeding and end uses to be configured. Our philosophy is to make micro-scale AD quick to install, modular, and smart, to allow businesses and small communities to achieve their sustainability objectives. The quickQUBE digester option is a rapidly deployed version of the bioQUBE and is designed within a strong, multi-layered, and flexible PVC container with an exo-skeleton. It can be fed any organics stream, including human sewage, and is designed in sizes from 5m3 to 300m3 (to 3,500 tonnes annually). The quickQUBE is a fit in industrial, agricultural and humanitarian applications, and in combination with the bioQUBE(s) when it fits. 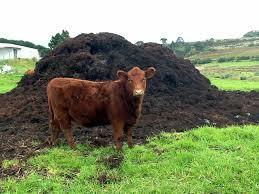 The biogas can be purified to create a “compressed renewable natural gas” (“CRNG”) that can be used to fuel vehicles. 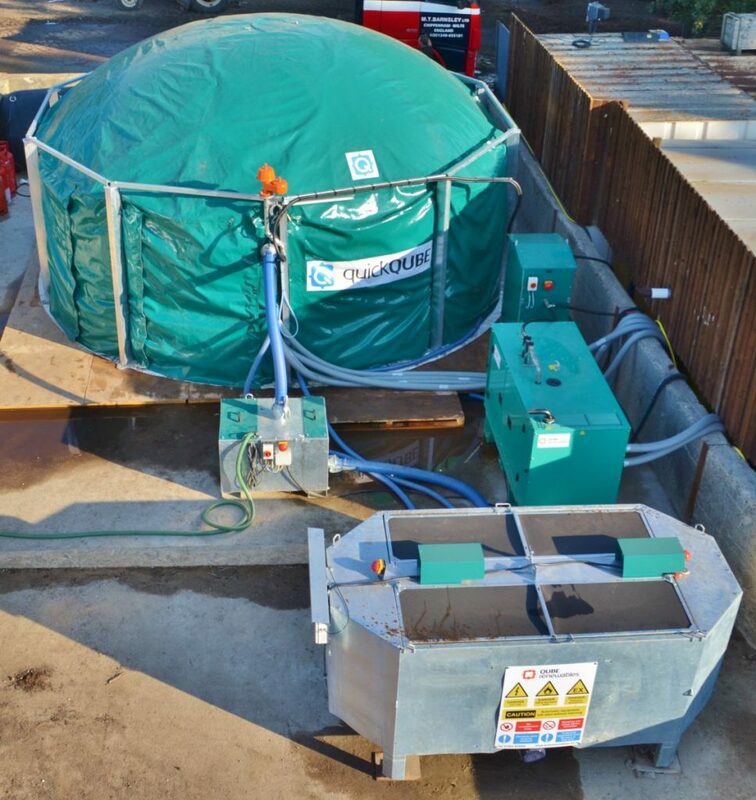 A small scale biogas cleaning system can be integrated with a cylinder storage array to provide fuel for an internal fleet or for external sale. Depending on the feedstock profile and daily volume, enough fuel can be produced to drive a sprint van between 450,000 – 1,450,000 kilometres annually. 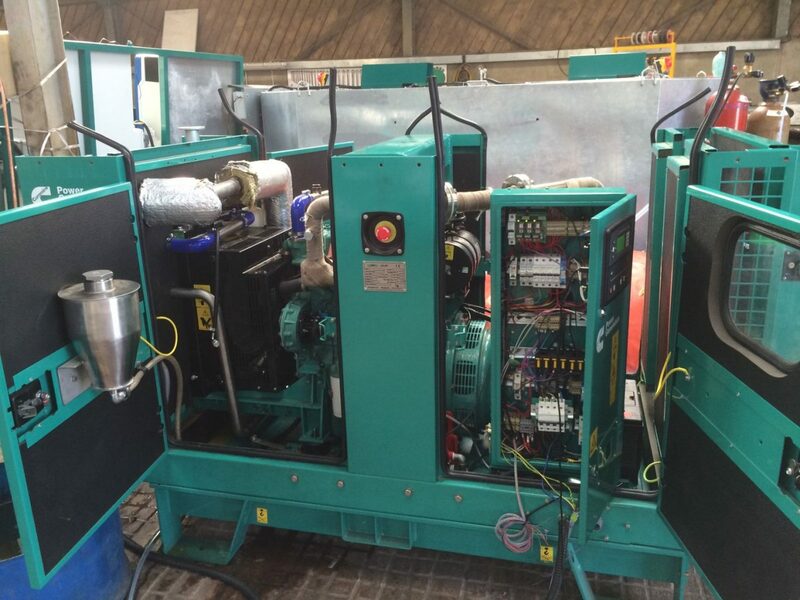 The CHP option offers the capability to make efficient and effective use of a valuable energy source. 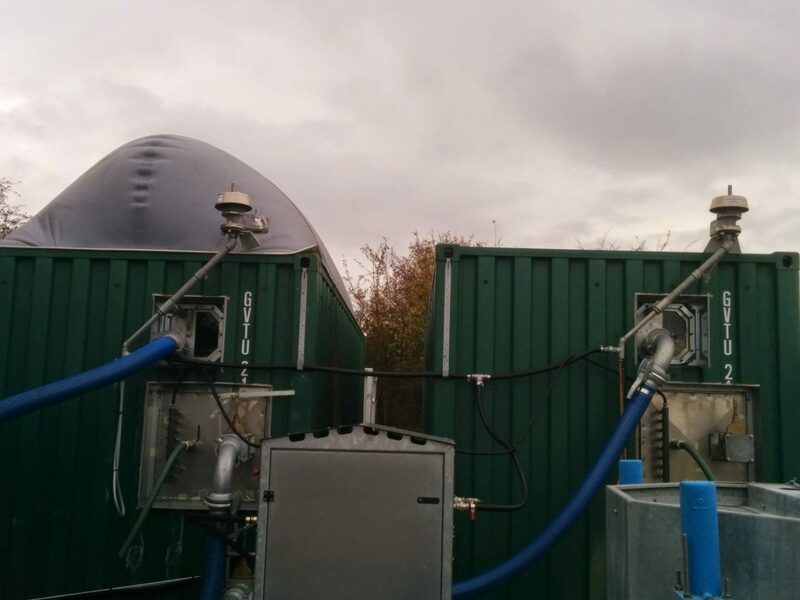 The biogas is combusted to turn a generator that creates electricity and the engine heat is captured. Both forms can be used internally, and the electricity can be exported to the grid where feed-in-tariff programs exist. The QUBE system requires electrical and thermal energy to support its operation. 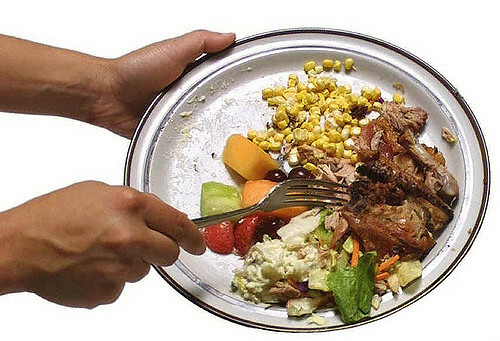 Approximately 10% of the biogas will be utilzed for system self-sufficiency. The excess heat can also be used to create hot water for internal needs. 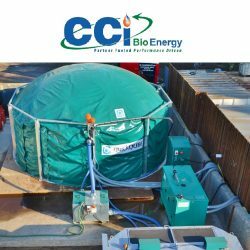 Click here to see information on the website of CCI BioEnergy.